She proves you can look hella stylish for less! If you've been meaning to look more stylish for less, look no further! 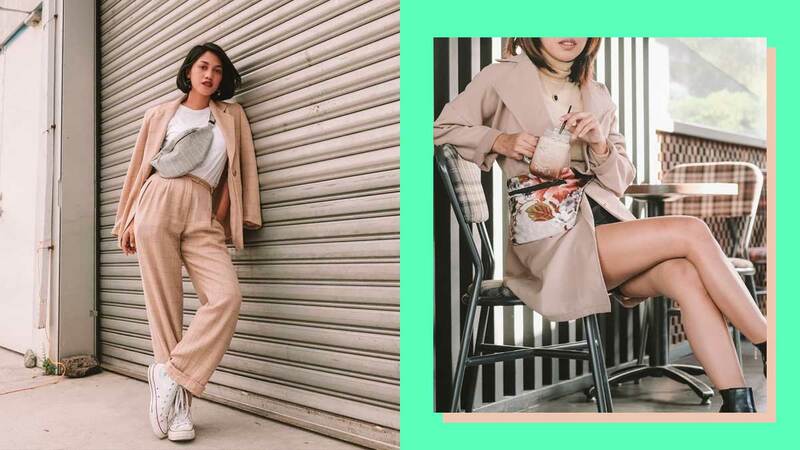 Jean Dalida, style blogger and ukay-ukay shopping extraordinaire posted some of her best (and cheapest!) OOTDs on Facebook recently, featuring pieces that go for as low as just P10! Her post has since gone viral at more than 28,000 shares and we had to discover her ~*style secrets*~ for ourselves! How did you get into ukay-ukay shopping? Ukay-ukay shopping is one of the best life skills my lola taught me. I remember her telling me one Sunday afternoon that we were going shopping. I was so excited because I thought we were going to the mall, but to my surprise, we visited her favorite ukay-ukay in Pasay instead. She taught me everything I need to know about ukay-ukay—even the tips and tricks on how to haggle to get the best price. How long does a regular shopping trip take you? It depends on how many racks of clothes I will go through. But because I don't want to miss good finds, I usually spend two to three hours shopping. That includes all the fitting and kalkal. Ukay shopping is definitely my cardio and stress reliever! Do you have a favorite ukay find or finds? If so, what is it? Yes, the Marks and Spencer co-ords. I love everything about the pair. What’s the cheapest outfit you’ve been able to style on yourself? I recently scored a simple mini dress for P10 in Quiapo that's perfect for my everyday ganaps in life. Where are your favorite ukay-ukay spots? I have a lot, but I think I'll go with my *home* ukay and that's in Biñan, Laguna. That's where I scored my fave ukay co-ords. There's also a big difference with the prices of ukay [in Laguna] compared to spots in Manila. What kind of advice can you give to girls who want to go to the ukay-ukay for the first time? Know your personal style. Finding the perfect pieces in ukay will be easy if you know what you're looking for. There are tons of fab and stylish pieces all around you in an ukay-ukay shop; 'di ka uuwi na walang bitbit for sure!